Drop in any time between 6 and 9 pm to check out the studio. Join us on our information night; enjoy some complimentary refreshments and snacks, check out the Studio, meet our Faculty members and get all your questions about the program answered. Our program is registered with theYoga Alliance (RYS 200). Check there our program detailed class by class. Your tuition fees include unlimited classes at Hatch Yoga (46 classes / week) until the end of the program, starting from the moment we receive your deposit. 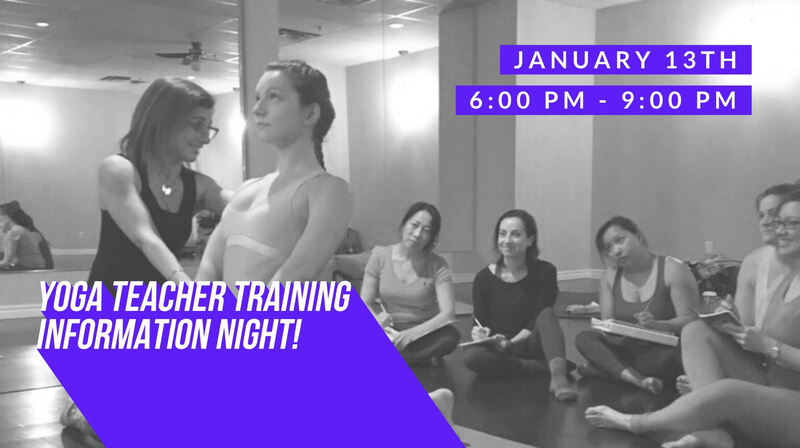 That means you can start taking classes right away and deepen your own practice before starting your teacher training in March.